Castries, St Lucia's capital, is located just five miles away, making this resort is a fantastic base for exploring the island particularly if you arrive by boat. The resort also offers a great range of complimentary activities which focus on wellbeing or the local environment. Having been completely redesigned in 2014, the resort is an eco-friendly boutique-style property which promises all the luxuries expected of a high-end resort including a personal assistant. The spacious accommodation has been beautifully designed with stylish furnishings. There are 57 suites with full kitchens, living rooms and dining areas, as well as 67 rooms with spacious balconies and views overlooking the resort or the bay. Guests can opt for a room or suite with a hot tub on the balcony, while the Penthouse Suites offer the ultimate luxury experience with spectacular views. Guests can enjoy special touches such as homemade cookies and personal notes from their maid, while complimentary in-room refreshments are replenished daily including bottled water and soft drinks. An unusual benefit of a stay here is that guests can take advantage of the complimentary early check-in and late check-out, allowing them to spend a full day at the resort at the beginning or end of their holiday if flight times allow. Dining at Marigot Bay Resort ranges from the casual Hurricane Hole Bar & Restaurant which serves breakfast overlooking the marina, to the highly regarded Grill 14°61° where the open kitchen takes centre stage as the chefs cook prime cuts of meat, using locally sourced produce. The Rum Cave is set overlooking the marina and serves lunch and dinner, as well as offering a range of fine local rums and cigars which are perfect for that after dinner night cap. The swim up bar is located at the main pool, while the Brut Bar serves fine cocktails, cool beers and a range of ceviches, sushi and light snacks. The attentive bar attendants are also always happy to bring your refreshments straight to you. Marigot Bay Resort offers a range of facilities including a state of the art fitness centre, two infinity pools and a new spa. Auriga Spa is definitely worth a visit to sample its special menu of treatments based on native St Lucian therapies, plus guests can also take part in a workshop to make their own body scrub. A range of watersports are available on Marigot Bay Beach, accessible by a complimentary boat shuttle across the bay. There is an excellent programme of complimentary activities including daily yoga and pilates, a cocoa tea making class, a garden walk, a movie night, a Marigot Bay Ridge Climb which follows a trail across the bay with spectacular views, a ‘Coconut Experience’ focusing on the health benefits of a coconut tree, a class using everyday products to make face masks, and a poolside back massage taster session. Chargeable activities include rum tasting and distillery tours, Piton nature climbs, sunset cruises, cooking classes, ziplining and rainforest trips. The concierge desk and your personal assistant are happy to arrange local tours to explore the island, while the resort’s location allows for easy boat chartering and deep sea fishing trips with a local guide, an excursion which is suitable for novice and more experienced fishermen alike. Younger guests at Marigot Bay can enjoy a complimentary children’s activity programme including arts and crafts, nature walks, dance and storytelling. 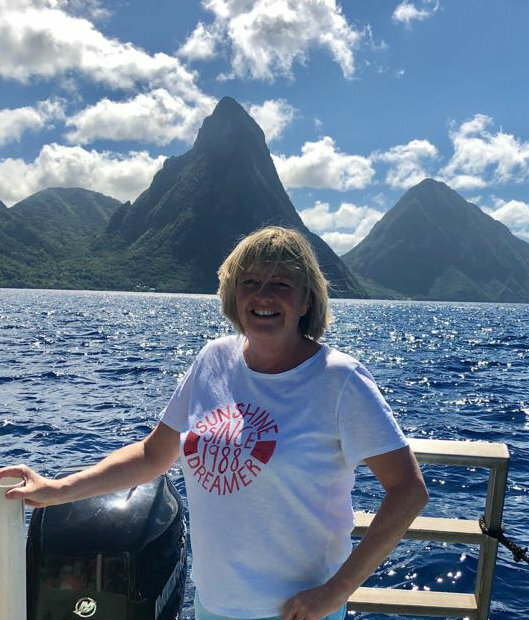 For more information about Marigot Bay Resort and Marina or alternative resorts, take a look at Su's St Lucia Trip Diary. Arriving at Marigot Bay was a real treat - the warm welcome and cold rum punch I received from my personal assistant made me feel very special and relaxed straight away. As I arrived late in the day, the resort looked stunning lit up across the hillside but it wasn't until the next morning that I really got a good look at the beautiful surroundings. Located in a gorgeous bay on the west coast of the island, this resort is something special and I immediately felt at home. Whilst not on the beach, it's easy enough to take the water taxi across the bay to LaBas beach where you will find loungers and towels. The marina itself has a great atmosphere and offers a selection of shops and restaurants to keep you busy! The rooms at Marigot Bay are really spacious and extremely well equipped - my suite had a full kitchen, large lounge and dining area with plenty of space to relax. I was lucky enough to have a hot tub on my private terrace so I made sure I had some time to enjoy this during my stay! Food here is excellent with a great choice on offer - make sure you take a visit to the Rum Cave if you can, where the rum tasting is informative and great fun. I also loved the large lagoon shaped pool, and the complimentary snacks and amenities brought round through the day was a great added extra. With a well-equipped gym and a lovely spa village with it's own tree house, there really is something to keep even the most discerning guest happy.